Who wants to pay for parking? 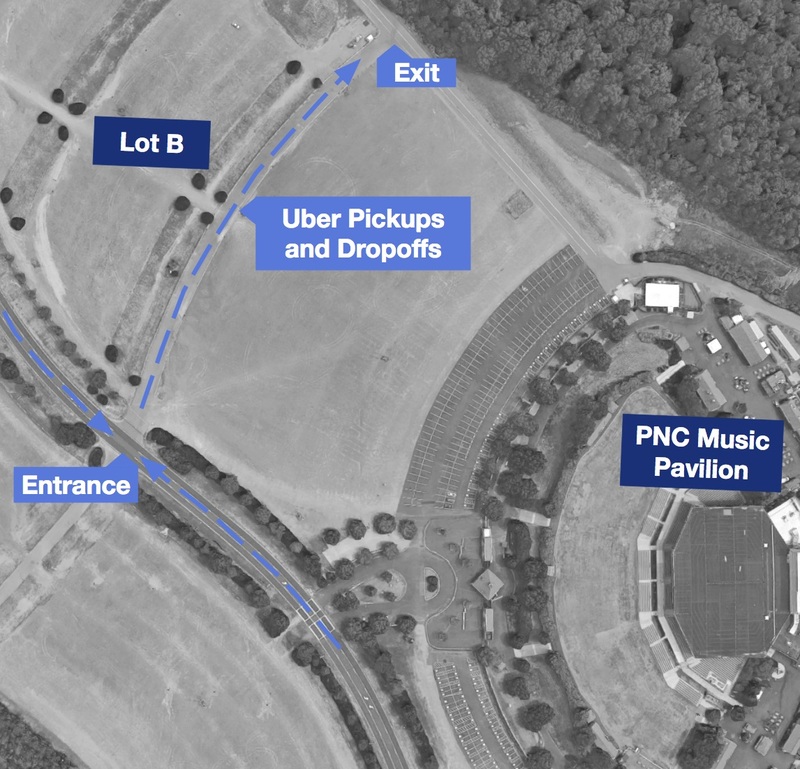 PNC Pavilion makes it easy to catch an Uber to and from the show. And with a designated lane for rideshare vehicles, it's easy for drivers to cash in on the action. You will be able to enter the lot from either direction on Pavilion Blvd. Ensure you are displaying your Uber "U" trade dress in the passenger side windshield. See here on how to get your U! Pull up to the gate and you will be granted access by the attendant. You may be denied access to the pickup area if the trade dress is not visible. The lot is for dropping off and facilitating pick ups only. There will not be room to park and wait. Once you drop off or pick up, continue driving straight and turn left onto the access road to return to Pavilion Blvd. Please be respectful of all postage signage and comply with traffic officials on the ground. Five-Star Tip: Ensure a seamless pick up from the venue by calling your rider and let them know you will be picking them up in Lot B.